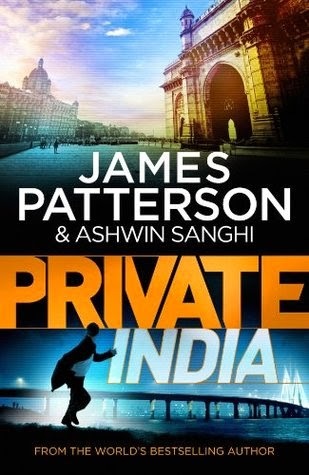 Private India is a collaborative effort between James Patterson, the New York Times bestselling author and the conceptualizer of the Private series, and India's own Ashwin Sanghi, a name associated with historical and mythological thrillers. It is a fast-paced fictional thriller set in the forlorn streets of Mumbai; a novel that acquaints you to the issues plaguing modern India such as gambling, prostitution, smuggling, corruption, and violence against women. Jack Morgan, the main protagonist of the Private series, is a former CIA agent who heads the fictional Private Inc., one of the finest Private Investigation agencies in the world. Jack's heroics took him to Berlin, LA, London, etc., but for his current mission, he hands over the reins to Santosh Wagh, a top agent in Mumbai. The USP of Private India is the alliance between two minds, mingling of two distinct cultures, and jaw-dropping suspense. Sanghi manages the "Indianness" well through his deep-rooted knowledge and admiration of the Indian mythology. He provides a vivid description of the Navratri festival and Goddess Durga in the novel, and Patterson weaves an intricate plot around the same through drama, keeping everyone on tenterhooks. All the central characters are well-developed. Santosh Wagh, a former cop turned private investigator, heads the India operations for Private Inc. A host of supporting characters – like the corrupt cop, the immortal Godman, the underworld Don, the wily lawmaker, the Bollywood star, or the singing sensation – take the story ahead with finesse and detail. Santosh is a brilliant investigator with a strong sense of reasoning. He has a pitiable past though, having lost his entire family in a bizarre road accident. Partly holding himself responsible for the ill-fated event, he battles a drinking problem – often torn between drink and duty. This is referred in the book as "Jack Morgan versus Johnnie Walker". His aide includes: Nisha Gandhe, an enviable head turner; Mubeen, the team's medical expert; and Hari, the quintessential techie. The story begins with the murder of a female Thai plastic surgeon in an uptown Mumbai hotel. Her dead body is found in the bathroom by a housekeeping staff. A prima facie case of murder is established only when the victim's hands are seen tied with strings. Other noticeable clues include: a yellow scarf wrapped around her neck, a flower in one hand and a fork in the other, and a small Viking helmet tied to one of her toes. Eight similar murders of supposedly unrelated people shake Mumbai one after the other. Much to the team's surprise! The serial killer follows a similar pattern for every victim. For Santosh and team, it is not only important to catch the serial killer and put an end to his killing spree but also crucial to avoid an impending terror attack on the city. We travel to every nook and corner of Mumbai with the team trying to figure out the mystery. I must admit that Sanghi's mythological links do feel irrelevant and unnecessary at times. Ditto with some unfitting theatrics that he's tried to infuse in the book. Patterson's trademark gusto – of describing gruesome murders and crime scenes – is also missing. Nonetheless, it still is a good read. The book has a powerful and intriguing beginning but the events struggle to maintain the level of tension and suspense.